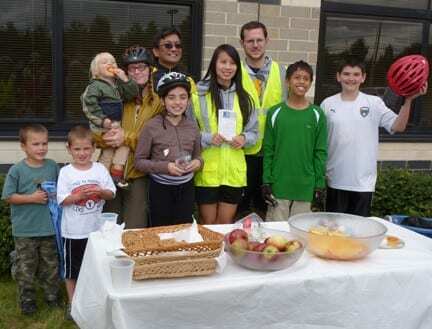 More than 60 bicyclists, including a few youngsters towed by parents, joined the West Windsor Bicycle and Pedestrian Alliance for its third annual Community Bike Ride on Saturday, September 26. 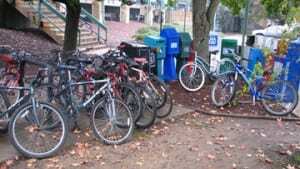 We beat the rain by several hours as we rode from WaterWorks to Grover Middle School and back. 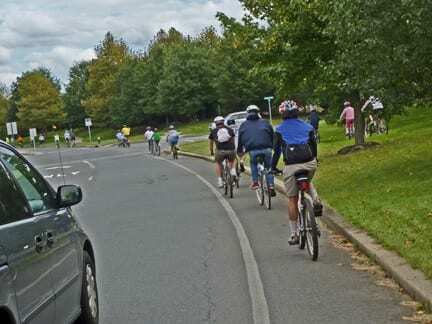 It was fabulous to see so many people enjoying themselves using the Township’s bike lanes and co-existing with cars on the road. Many thanks to West Windsor police for assisting at key intersections, McCaffrey’s for providing food at our rest stop and to AlJon’s for donating a certificate for a free pizza as part of our free drawing for all participants. Many others won bike-related equipment provided by the WWBPA, including David Aderhold, the WW-P school district’s assistant superintendent for pupil services and planning, who won a safety vest. 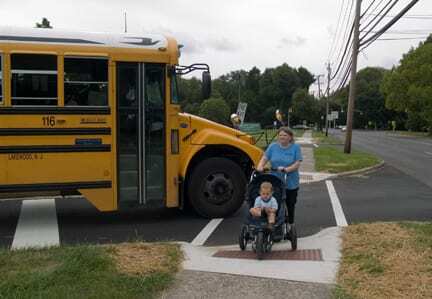 In keeping with the WWBPA’s efforts to encourage more walking and biking, Cheryl Kastrenakes from Greater Mercer Transportation Management Association talked about how to start a walking school bus to get kids to school (they don’t have to run every day!). See gmtma.org or wwbpa.org for more information. Comments Off on What a ride! The West Windsor Bicycle and Pedestrian Alliance’s third annual Community Bike Ride takes place at 2 p.m. Saturday, September 26. 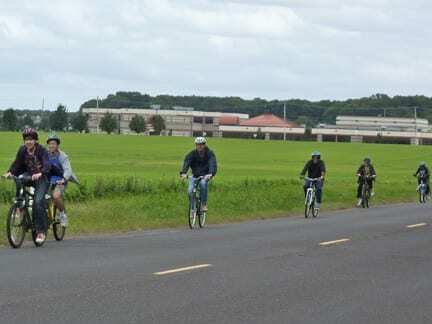 In addition to our free, family-friendly ride from WaterWorks to Grover Middle School and back, we will offer pre-ride safety tips beginning at 1:30 p.m. (Come anytime between then and the start of the ride.) 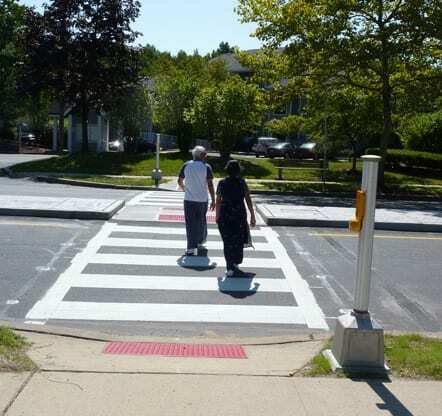 We’ll run through the ABC Quick Check, ensure helmets are fitted properly, learn hand signals and practice two skill drills: dodging obstacles on the road and making left turns. Registration will also open then. 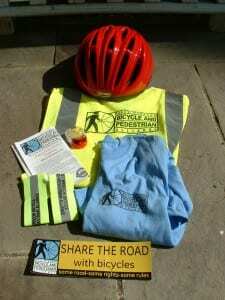 As an added bonus, we will have a free drawing open to all participants at Grover that will include a WWBPA T-shirt, a WWBPA map, a safety vest, ankle bands, a bike light and a bike helmet. Don’t forget to fill out the waiver form! I wanted to express my delight in finding out that the curb cuts on the sidewalks around High School South along Clarksville Road have finally been implemented. I have been waiting for this for over 9 years and am very happy that it did come through. What can we as a community do to create safe routes to school and help children become more independent? Let us know what you think.